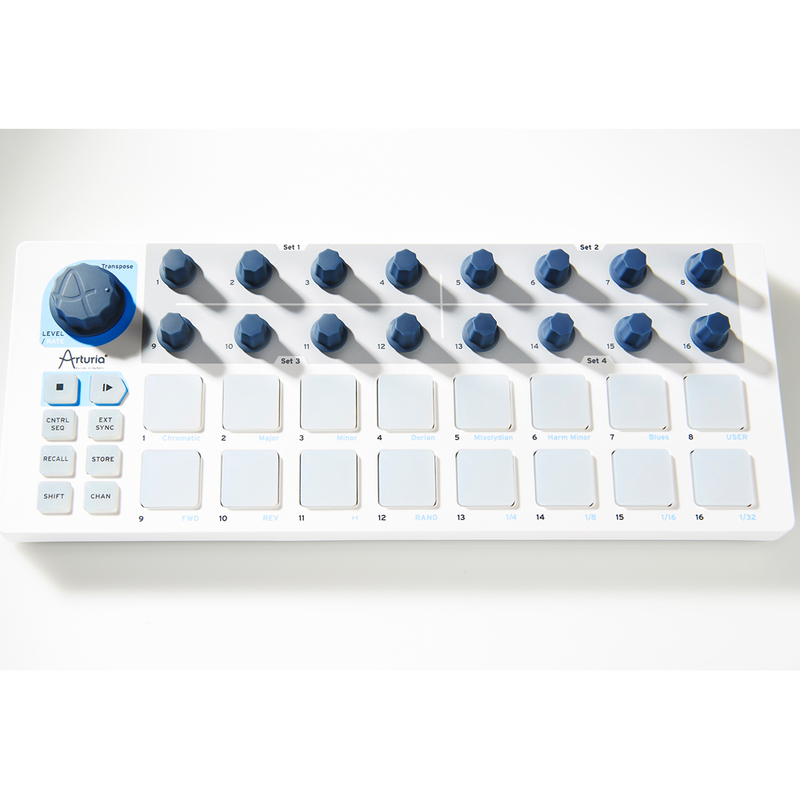 Arturia BeatStep is a compact MIDI controller with built-in 16 step sequencer, backlit performance pads, programmable rotary encoders, and great connectivity. Small enough to go anywhere with you, and USB bus-powered, wherever your music takes you, BeatStep can be right alongside you. Alongside its huge array of performance controllers, it also packs a simple 16-step sequencer to let you create improvised melodic and percussive sequences. It can even control playback in your DAW. Connecting the worlds of computer audio, MIDI outboard gear, and CV/Gate controlled equipment, BeatStep syncs everything together so you can make the most of your setup. Refine the parameters of your effects or virtual instruments, improvise a sequence with modular synths using CV, or control a vintage synth module via MIDI. BeatStep makes it possible. 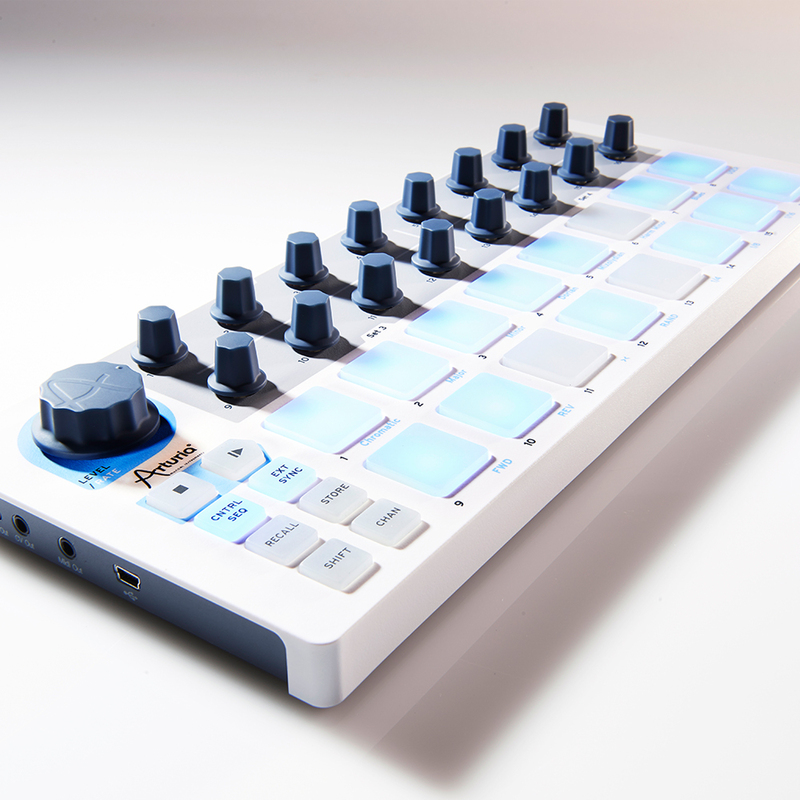 No other small-format controller offers such a wide variety of functions, features, and possibilities as the Arturia BeatStep. Its unique ability to store up to 16 user configurations lets you truly customize your musical experience, letting you have a dedicated control map for your favorite effects, modules, or software synths. 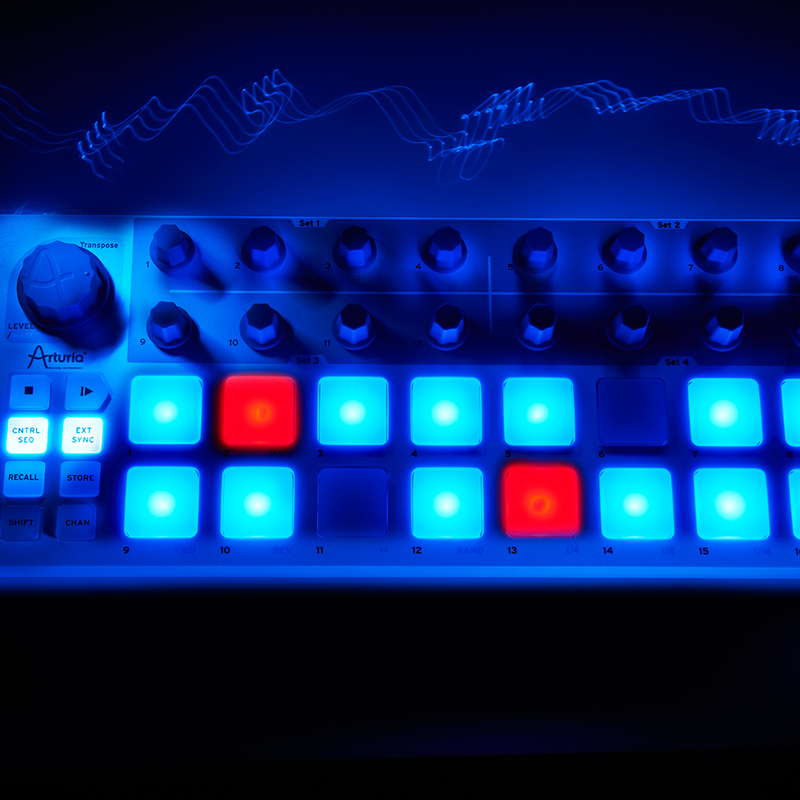 Built-in 16 step sequencer: create custom patterns on the fly. Control anything: sequence software instruments via USB, or hardware synths and gear via MIDI or CV. Backlit, responsive pads: both velocity and pressure sensitive pads allow for expressive performances. Hone your tone: 16 assignable encoders let you tweak the parameters of virtual instruments or effects in real time. Save your favorites: store and recall up to 16 custom layouts directly within the controller. Master your environment: BeatStep also includes transport buttons which you can use to control playback in your DAW. 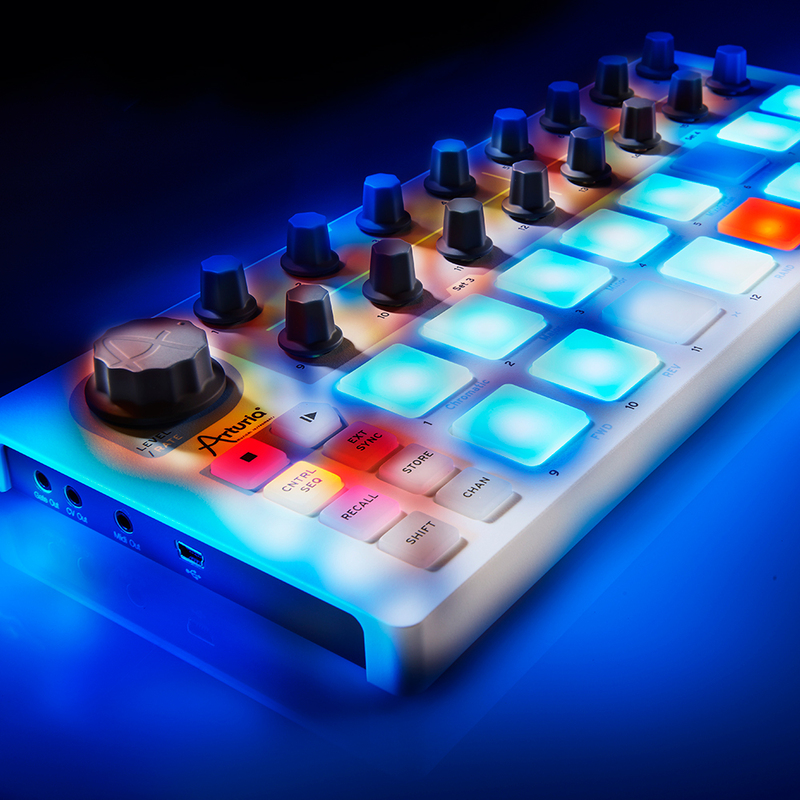 Go anywhere: small enough to fit in practically any bag or case, BeatStep can be your go-to mobile controller.